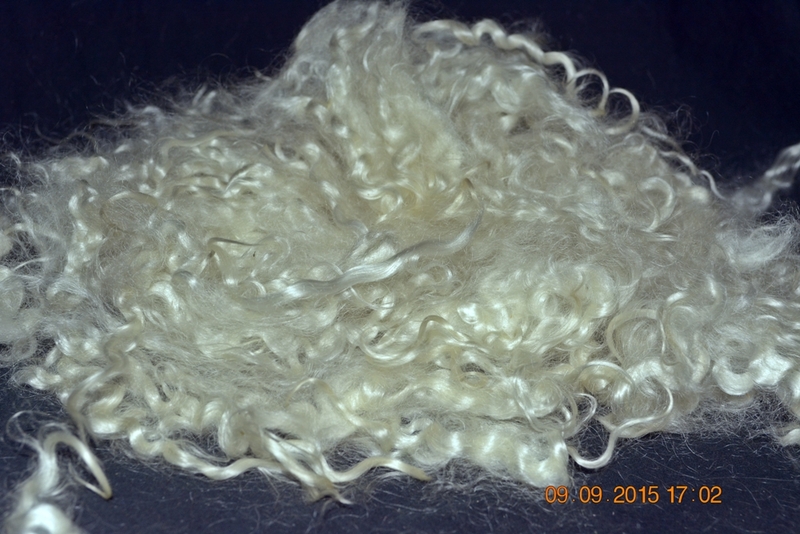 I have a total of 8 ounces washed, first clip mohair from Angel, brother of Willow. 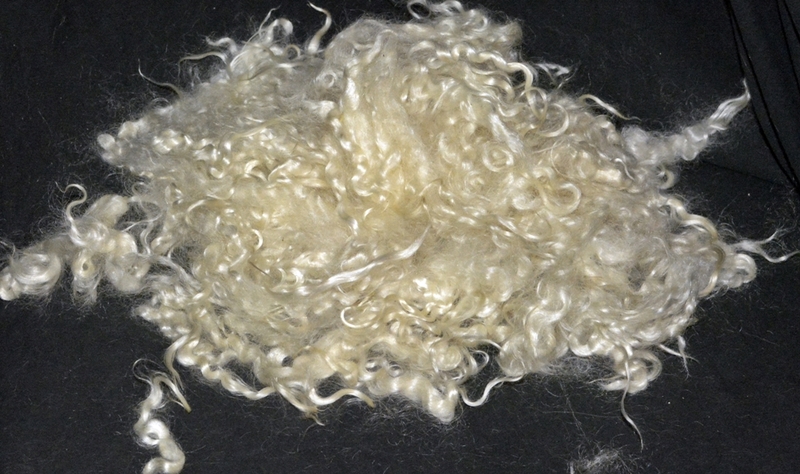 I have carefully sheared, washed and picked through his beautiful mohair, which is from about 3 to 5 inches in length. It is $5.00 per ounce plus actual shipping. 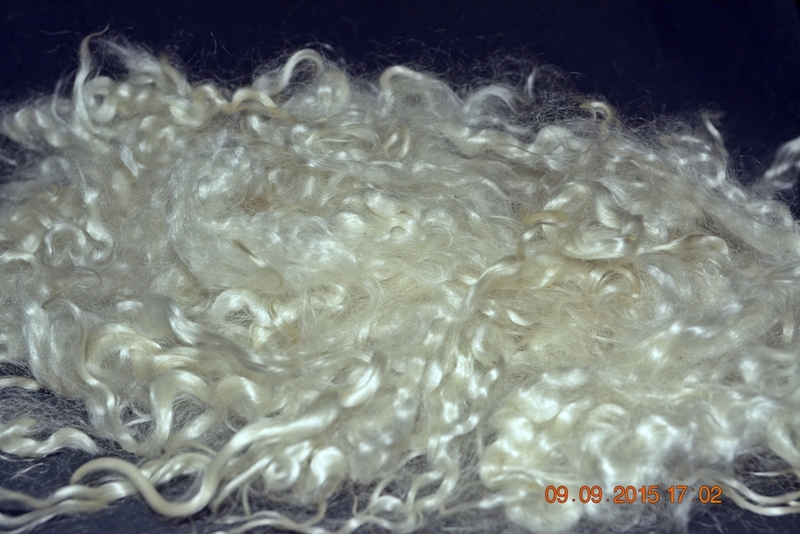 This entry was posted in Mohair Locks from Castle Argghhh Goats and tagged kid, locks, Mohair, shiny, soft, washed, white. Bookmark the permalink.